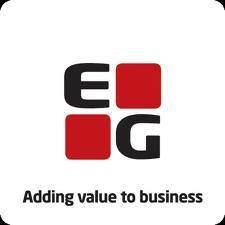 EG (Denmark) takes over CGI’s (Canada) business involving IT solutions for the fashion industry. After the takeover EG becomes market leader within IT solutions for the fashion and textile industry servicing some of the largest fashion brands in Europe. EG has taken a leading position in the market for IT solutions for the fashion and textile industry in Denmark. With the takeover of CGI’s textile business, EG adds another 12 dedicated employees and approx. 50 customers to its existing portfolio of companies in the fashion and textile industry. “Focus on the industry is the DNA of EG, and we have worked with the textile industry since we started in 1977. With CGI’s IT solution “Variant to Dynamics NAV” we will add another solid product and strong competencies to strengthen our business and expand our customer portfolio in an area where we already have a strong position,” says EG’s Managing Director Leif Vestergaard in connection with the takeover. “Requirements to IT solutions in the textile industry include variant control, consideration for very short seasons, heavily increasing online business and many sub-contractors as well as tight cash management. 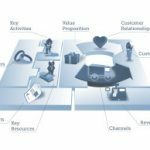 With two different platforms, we can now support the overall value chain in the entire fashion and textile industry with focus on increased productivity and thereby customer competitiveness,” says Leif Vestergaard. The new, expanded EG Fashion business is able to offer its customers a total solution on two different platforms, i.e. initial consultancy services, support during implementation and subsequent operation of the platform as well as full service and support. Concurrently with EG taking over the CGI solution “Variant to Dynamics NAV,” EG will continue to service its ASPECT4 solution as before. “With two platforms for the fashion and textile industry we are now even better equipped to meet customer requirements. Now, we can even offer an alternative to customers, who prefer Microsoft solutions. It makes perfect sense that our customers can now benefit from services across our entire NAV base, e.g. operation, service and support,” says Leif Vestergaard. The takeover is not just a proactive step in relation to the fashion business. The new NAV consultants will contribute to supporting EG’s position as the largest NAV partner in Scandinavia – an area that EG has already indicated would be strengthened even further. Since 2010, EG has acquired 15 companies in Denmark, Sweden and Norway. CGI is a global IT and business process services supplier, founded in 1976 in Canada. CGI has 68,000 employees in 40 countries with approx. 650 employees in Denmark – in Ballerup, Aarhus, Kolding, Herning and Aalborg.